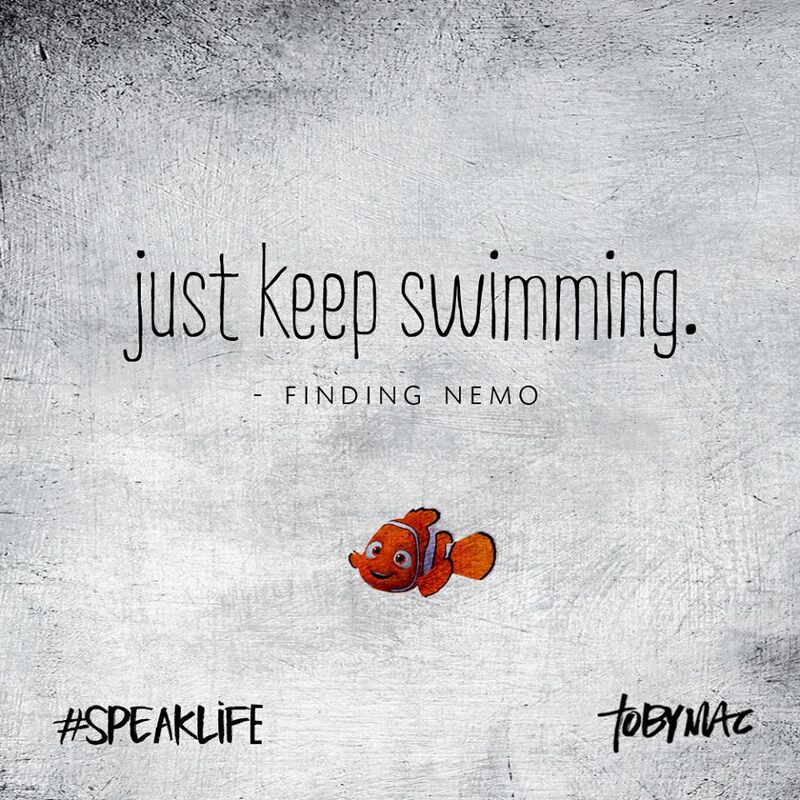 I came across this last night in my Facebook feed (thank you TobyMac) and realized it has unknowingly been my mantra lately. I signed the three big boys up for a Vacation Bible School this week and subconsciously made fabulous plans to clean my house real deep, enjoy loads of reading, take a bubble bath Monday through Friday (even if it is with Kohen) and to take the plunge to tackle the monstrosity that is Khloe's nursery. I know, what was my subconscious doing? If it counts that I made Kollin take all of the goodies from Khloe's showers upstairs and that they all actually made it into her room yesterday- if that counts as starting work on the nursery - well then, I guess I have been successful thus far. This morning, being the third day that Kolt has complained of having a headache, (headaches and children freak.me.out) I decided to take him to our pediatrician's office. Turns out after bragging this weekend that, "none of my kids ever get ear infections", Kolt has not one but two severe ear infections. The exact words of the PA we saw this morning when she looked in his right ear were, "Oh WOW! I can't believe he's not been screaming of pain". After picking up Kollin and Kruz from VBS at noon, I decided I needed a coke. I haven't had a coke in 6 weeks. Yes, I count. And so this day, this week, suggested this would be my one pass. And when in the position to having only drive thrus to pick from, I always go with Chick Fil A. I am guaranteed an abundance of carbonation. So in my crazy pregnant state of mind, I completely validate the line being wrapped around the building and into the street. I sip on this large cup of horrible-for-you goodness, dreaming of saving it all for when I arrive home, lay my children down and enjoy it with my lunch. Kohen knocked it over, spilling every last ice cube and drop, at the front door. I teared up y'all. Then decided I would not be teaching my children anything valuable from this mishap by literally breaking down right there on the front porch over a coke. Now, had it been a Venti Iced White Chocolate Mocha with Toffee Nut, Non Fat, No Whip, Half Caf? Well, the valuable lesson may have gone out the flipping window. I have decided, after listening to Kolt continusouly cry about his ears, Kruz refusing to take a nap and Kohen slinging his lunch across the dining room, that I am officially done with Wednesday. I took my bra off, put on my pajamas and the kids are currently getting their baths out of the way. Dinner may or may not be served tonight and the children may or may not have to put themselves to bed.